Lampshade Shop design and manufacture high end, bespoke lampshades. The range varies from more subtle lampshades, to statement pieces that are sure to be a talking piece when displayed in the home. They also offer a bespoke service, creating unique lampshades for the home or business. As well as supplying lampshades for the home, they also work with many businesses including bars, restaurants, hotels and retail outlets. They have worked with many iconic brands and landmarks including Ted Baker, Cath Kidston, and The Bloomsbury Hotel in London. Lampshade Shop have also supplied lampshades for many film sets, TV shows and stage shows, including James Bond Spectre, Downton Abbey, and Adele’s UK and US tours. They needed a new brand and website that would reflect their unique offering and impressive case studies, and that’s where we came in. We started working with Lampshade Shop in 2018 and first completed their new brand Identity. Previously, they had several different brands for different areas of the website, so our challenge was to create a brand that would service all of their different types of customers. The brand is clean, modern and timeless, allowing the lampshades to stand out and speak for themselves. The website is built on the Magento 2 website, with three distinct sections for the different areas of the business. 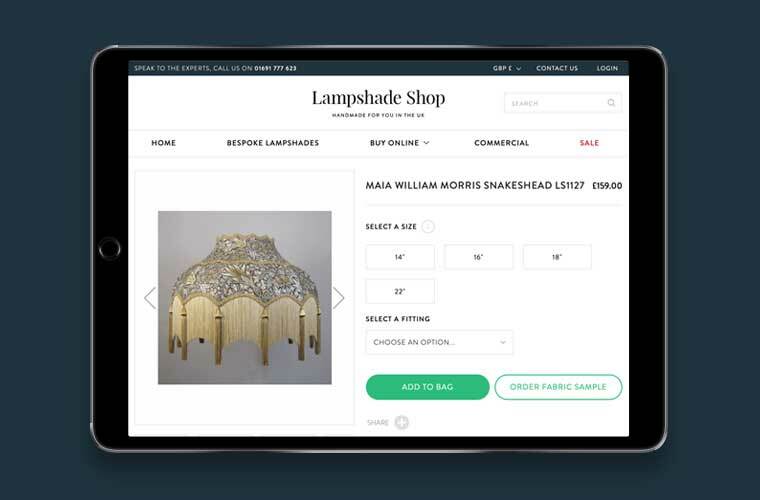 The ‘Buy Online’ section allows consumers to purchase a variety of ready made lampshades directly online. 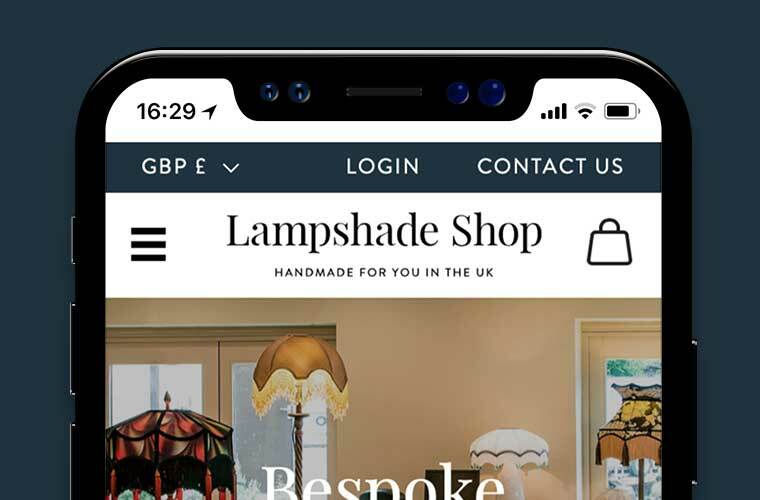 The ‘Bespoke Lampshades’ section allows customers to see the variety of options for creating a truly unique lampshade for their exact requirements. The ‘Commercial’ section showcases Lampshade Shop’s expertise in working with a whole range of visitors. The sleek, modern and user friendly website allows each target market to use the website efficiently, whether on their desktop, tablet or mobile device.